Dominic Hinde : New Scotland, New Culture? 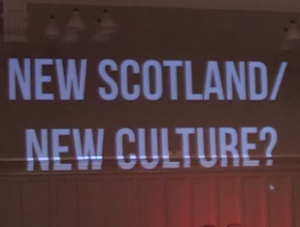 Dominic Hinde of the Post Collective tells us more about their event ‘New Scotland, New Culture?’, which was on at Summerhall last month. Featuring a host of speakers, the event discussed the state of Scotland’s culture, and what the future holds for it after September 18th.